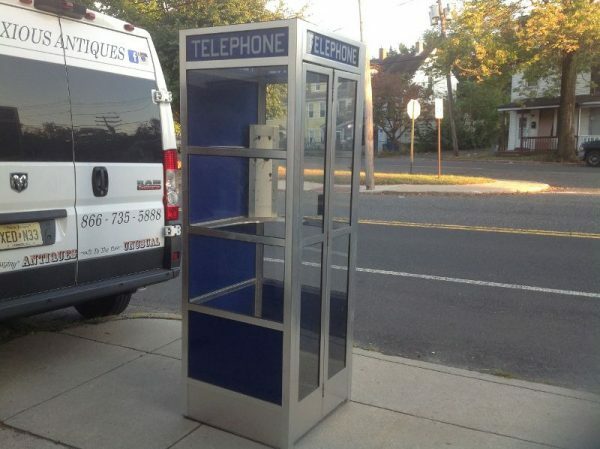 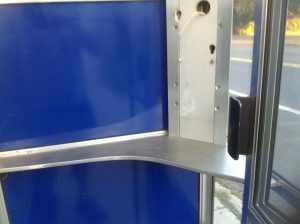 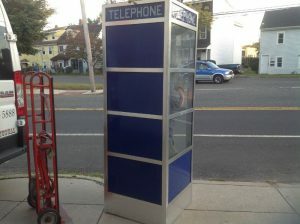 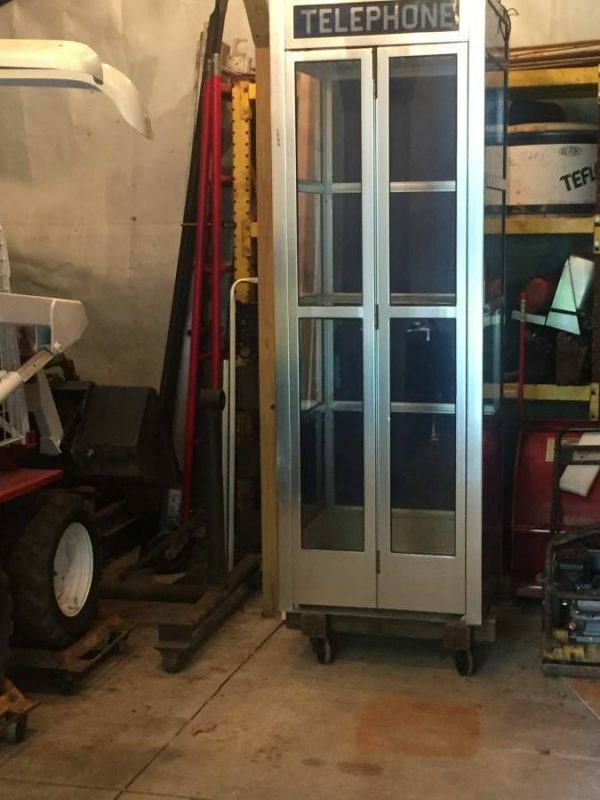 Fantastic vintage mid-century aluminum phone booth in as found condition. 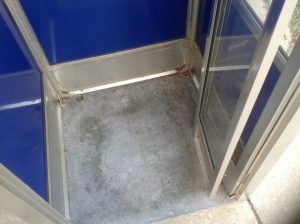 Bi fold doors. 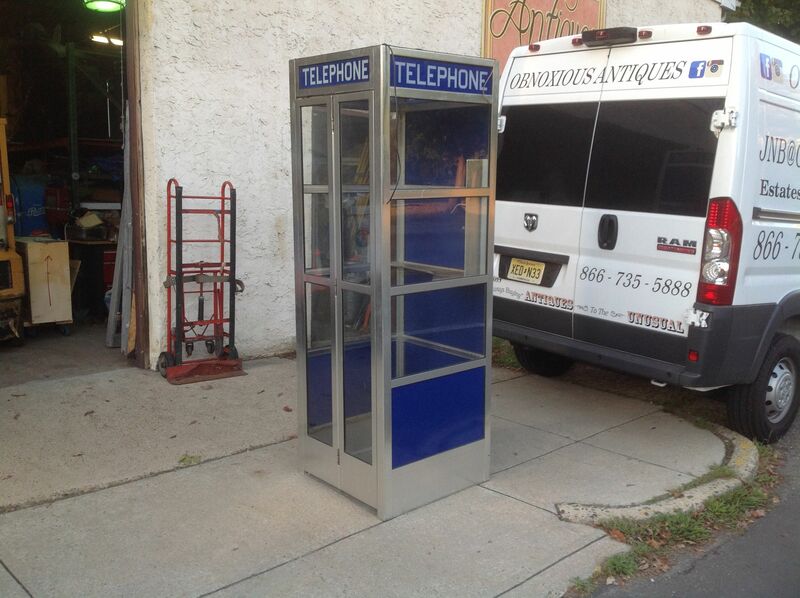 Looks good and will display very well. 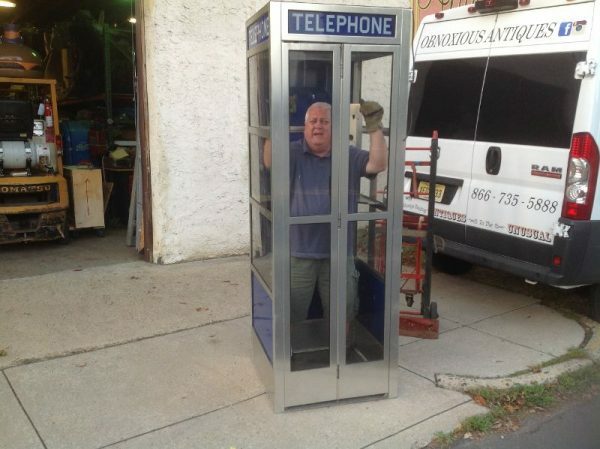 Help “Wild Bill” escape………….